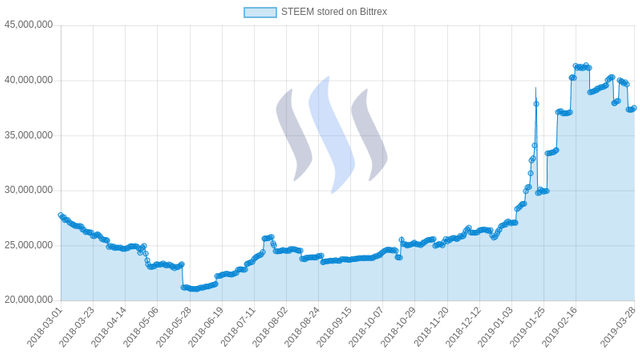 The charts below show how much STEEM is stored on each exchange where STEEM is listed. Rule #1 in the crypto world: Don't store your cryptocurrencies on an exchange! 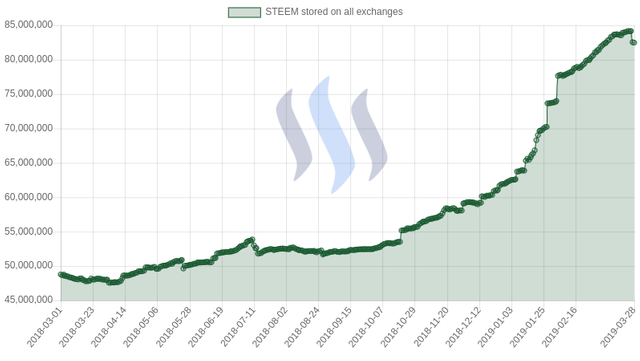 How much STEEM is currently stored on each exchange? 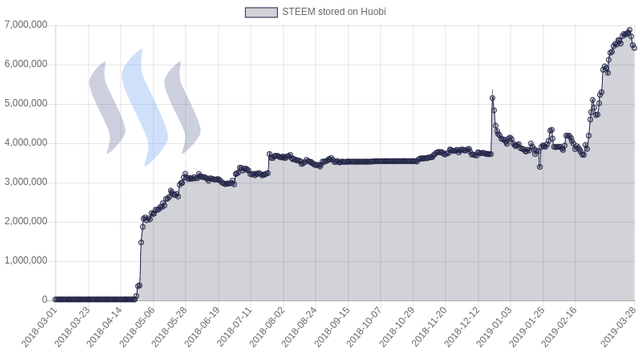 27.0% of the total supply is stored on the exchanges. 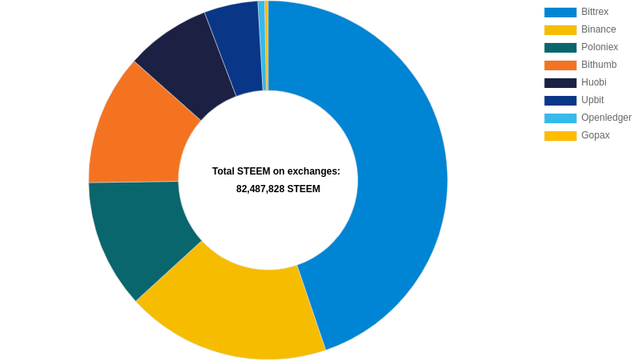 77.2% of all liquid STEEM is stored on the exchanges. 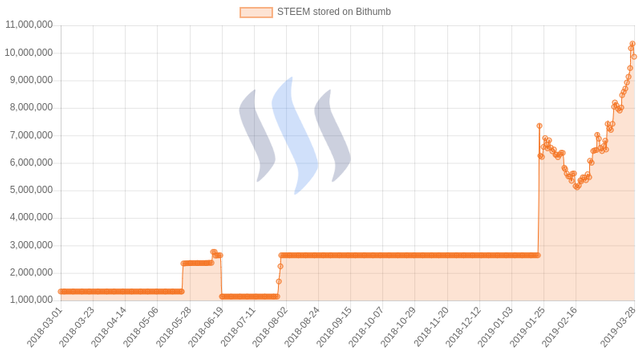 ¯\___(ツ)____/¯ Follow me @penguinpablo for daily Steem statistics. 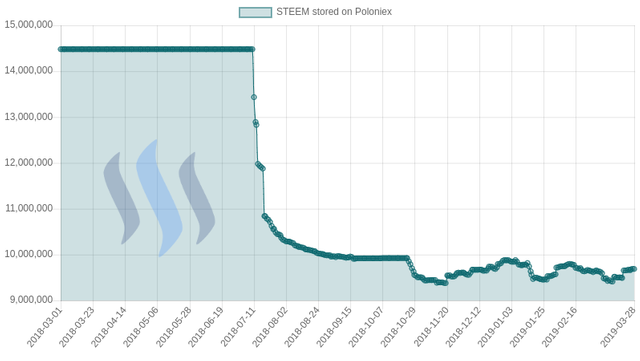 A small dip in liquid Steem on exchanges finally! Could mean that more are getting powered up which is great for the ecosystem! This explained a lot of things. 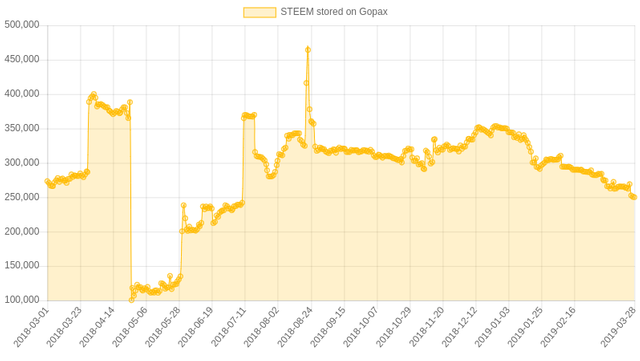 Thank you for your work here and on Steem Now -- for new people like me who LOVE data, this is all key info that helps us understand what is going on with the money side of the work! 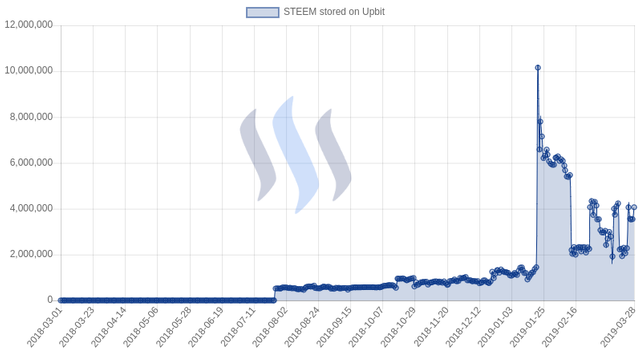 One other thing to note is that exchanger accounts on Steem tend not to be vested, hence all that STEEM is not being used in the economy. Indeed, it is one major reason that an upvote is currently worth some 22% APR compared to the sub-9% inflation rate. Do you, @penguinpablo, know if there is any agreement that an exchange remains passive with its holdings? 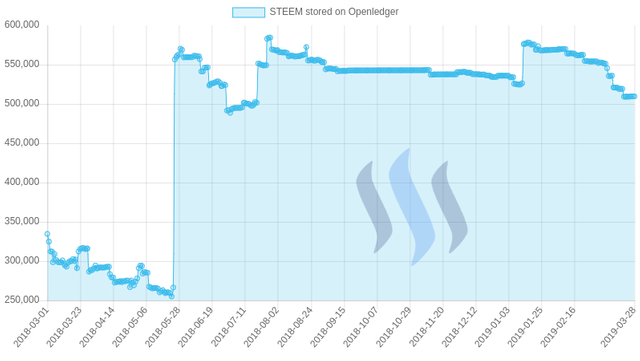 Also worth noting that STEEM is never actually held on an exchange; it is held in the exchange's Steem account. 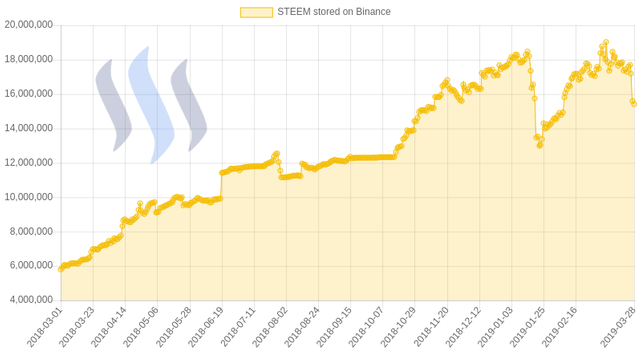 This hasn't stopped trading problems from some exchanges but it does mean that coin distribution could be done within Steem rather than on an exchange's platform.